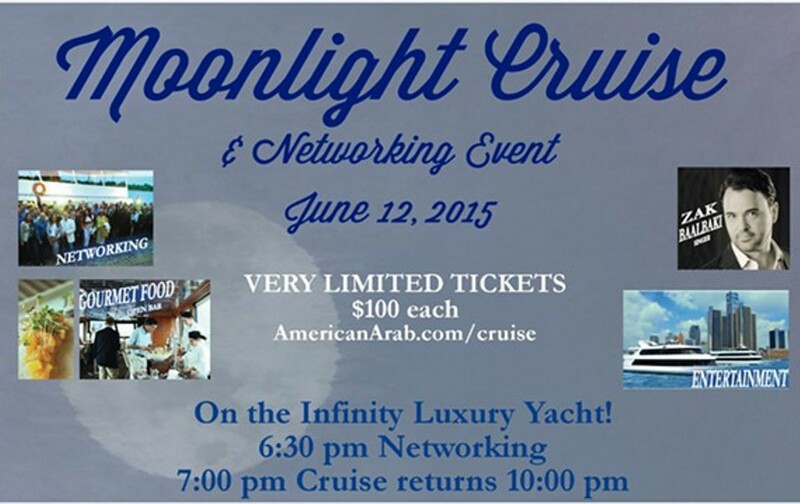 The Chamber hosts its Annual Moonlight Cruise & Networking Event at 6:30 p.m. on Friday June 12th, 2015 on the Infinity Yacht at the Jefferson Beach Marina in St. Clair Shores, MI. As the Chamber’s premier networking event of the season, the Moonlight Cruise attracts guests from across Southeast Michigan including business owners, corporate executive, entrepreneurs, and Chamber members. The event features entertainment from singer Zak Baalbaki, dancing, gourmet food, and an open bar, all in a relaxed and intimate setting as you enjoy a scenic cruise down the Detroit River Corporate sponsorships available. 7 pm Cruise Departure.